WNYC and the Tow Center for Digital Journalism team up to discuss definitions of success in podcasting, past, present and future. This event is invite-only, but you can join the conversation live via video stream. Tow Center for Digital Journalism fellow Vanessa Quirk will kick things off with a presentation of her research findings on the state of business models in podcasting, including how podcasts are raising revenue and prioritizing revenue streams. 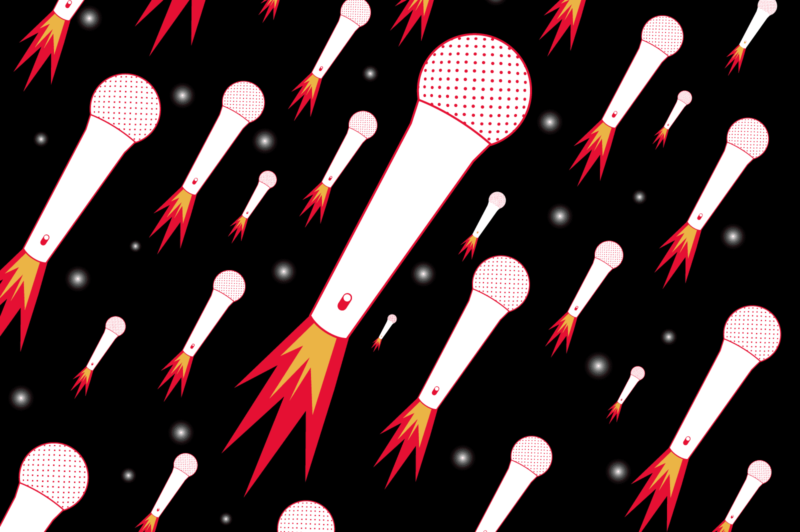 Her research offers a bird’s eye view of the current podcasting media landscape and provides recommendations for the podcasting industry for the future. Then, WNYC’s Paula Szuchman, Gimlet Media’s Matt Lieber, Acast’s Sarah van Mosel, Panoply’s Andy Bowers and PRX’s Kerri Hoffman open up about the challenges facing the industry, ethical dilemmas they’ve faced, and their tactics for fostering creativity and diversity in content creation. Andy Bowers (panelist) is the chief content officer at Panoply Media, a full service podcast network for media organizations, authors and other thought leaders that is the audio arm of The Slate Group. He is also the executive producer and creator of award-winning Slate audio programs, including Political Gabfest, Culture Gabfest and Hang Up and Listen. Kerri Hoffman (panelist) is the chief operations officer at The Public Radio Exchange (PRX). She has played a key role in the building and evolution of PRX as it expanded its scope beyond being public radio’s marketplace for independent producers and made strategic forays into content production and distribution. Hoffman has led PRX’s podcast network Radiotopia and is a champion for innovations in podcasting, financial models, and audience growth. Matt Lieber (panelist) is the co-founder and president at Gimlet Media. In a previous life, Matt produced radio shows, including On Point and Fair Game, and podcasts, such as Slate Culture Gabfest. He also worked as a management consultant at The Boston Consulting Group, where he focused on media and digital business. Vanessa Quirk (presenter) is a fellow at the Tow Center for Digital Journalism and a recent graduate from Columbia University’s Graduate School of Journalism. Previously, she worked as the managing editor of ArchDaily, the world’s most visited architecture site, in Santiago, Chile. Paula Szuchman (moderator) is the vice president of on-demand content at WNYC. As vice president of on-demand content she is developing new shows for WNYC Studios, working hand-in-hand with business development, sales and marketing while running a team of audio and digital producers. She created and produced WNYC’s Podcast Accelerator and ran WNYC’s first ever podcasting festival for women in June 2015. Sarah van Mosel (panelist) is the chief commercial officer at Acast. Prior to joining Acast, she was vice president of sponsorship at New York Public Radio, responsible for setting revenue generation strategies for all of NYPR’s properties, including shows like Freakonomics Radio and Radiolab.